רק 157.46 דולרים!! בזכות המשלוח חינם מאמאזון ובמחיר הכולל מס ושליח עד הבית! כלומר רק כ583 שקלים בלבד!! מחיר הזוי לחלוטין! כולל 3 מצבי ביטול רעש לפי סוגי מקומות ורעשים, כולל שתי כבלים לחיזור למקור מוסיקה או לטלפון נייד ועוד פיצ'רים . 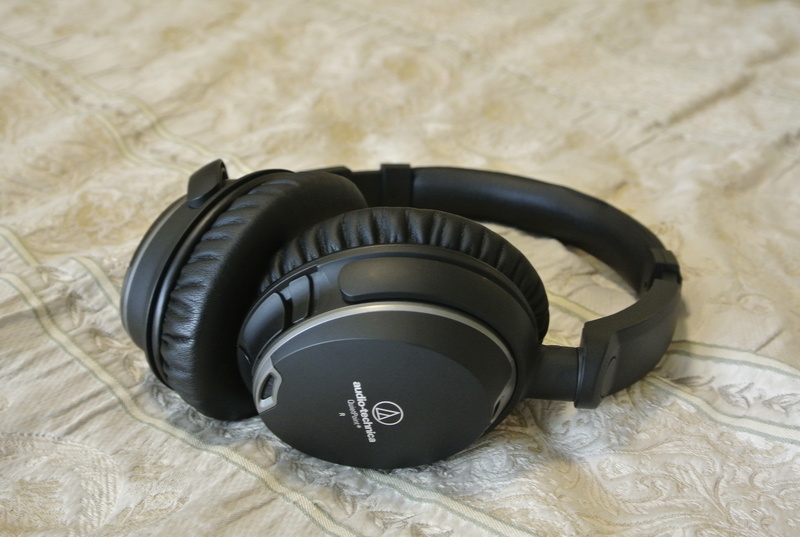 Audio-Technica's ATH-ANC9 QuietPoint® headphones use proprietary active noise-cancelling technology to provide a comfortable listening experience in areas with high ambient noise. The headphones feature two miniature microphones in each earpiece that pick up ambient noise (such as traffic, air-handling systems, etc.) and create a sound cancelling signal to effectively block the noise. ATH-ANC9 QuietPoint® headphones feature Audio-Technica's Tri-Level™ Cancellation – three unique mode settings that offer adjusted active noise cancellation based on the noise in your environment. Mode 1: ideal for use on airplanes, trains, and buses, applies maximum noise cancellation to low frequencies. Mode 2: designed especially for use in noisy offices or crowded places, targets the mid-range frequencies. Mode 3: best suited for use in already-quiet environments like libraries, creates a pristine, peaceful environment ideal for study. The ATH-ANC9 QuietPoint® headphones are the first over-ear QuietPoint® model to offer a cable with an inline microphone and controller for answering calls and controlling music. The mic and controller support select smartphone models and touchpad devices. The microphone has an omnidirectional pickup patter and is designed for crisp intelligibility, so you voice will be clearly transmitted without having to speak directly into the mic. Audio-Technica equipment is used by major artists for studio recording and capturing live performances on stage…allowing audiences to experience their work as clearly and fully as it was intended. These headphones are designed to offer you the crystal-clear sound that makes Audio-Technica the choice of leading artists worldwide. Wherever you happen to find yourself – in the comfort of your living room, in a noisy office, or settling in for a long flight, there is no better way to experience audio or immerse yourself in a peaceful environment. ‹ Oral-B Smart Series 6000 במחיר מעולה!